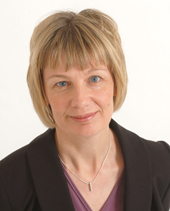 Dr Susan Cooper was appointed Consultant Dermatologist at the Oxford University Hosptials Trust NHS Trust in 2005 and at Nuffield Health The Manor Hospital, Oxford in 2010. She graduated from Bristol University, training in Dermatology on the Oxford Rotation. She gained an MD in 2006 after research into vulval dermatoses. She has a special interest in skin allergy and eczema and is a member of the British Society for Cutaneous Allergy. She heads the contact and occupational dermatitis service in Oxford. She can arrange patch testing for patients where allergic contact dermatitis is suspected. Dr Cooper leads the Oxford vulval service and has published widely on vulval dermatoses. She is a council member of the British Society for the Study of Vulval Disease and a patron of UKLP, a lichen planus patient group. She is happy to assess patients with vulval disease and can offer diagnostic biopsies and surveillance for long term conditions.